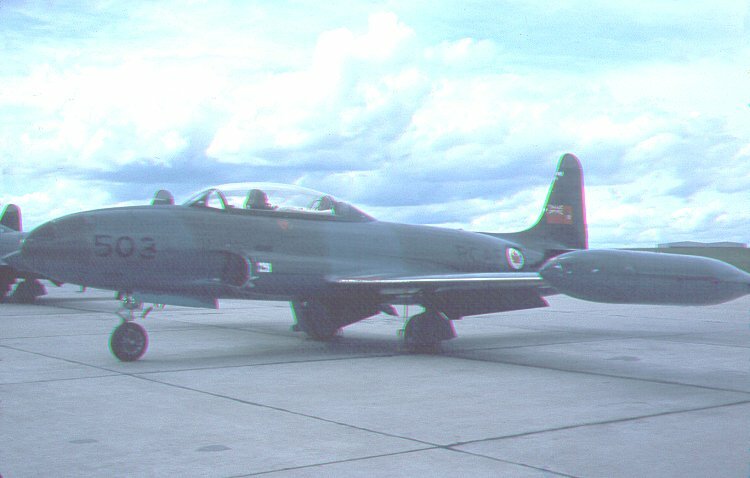 T-33 21503 parked on the ramp at Marville - May 1963. 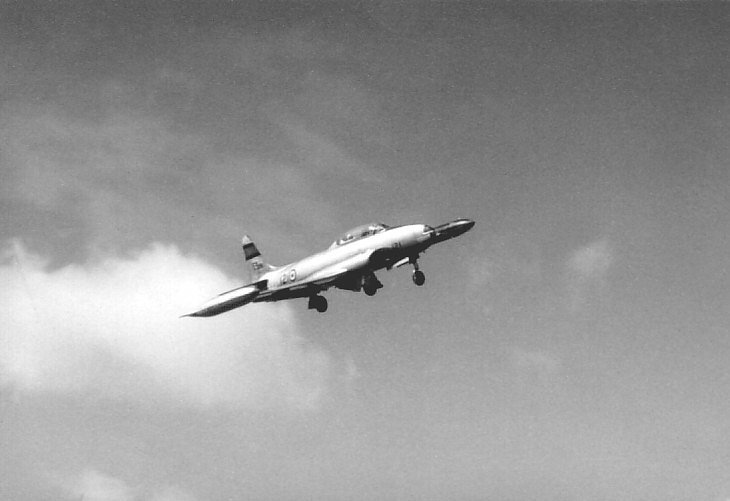 Close up aerial photo of T-33 21588 from Wing Instrument Flight - September 1960. 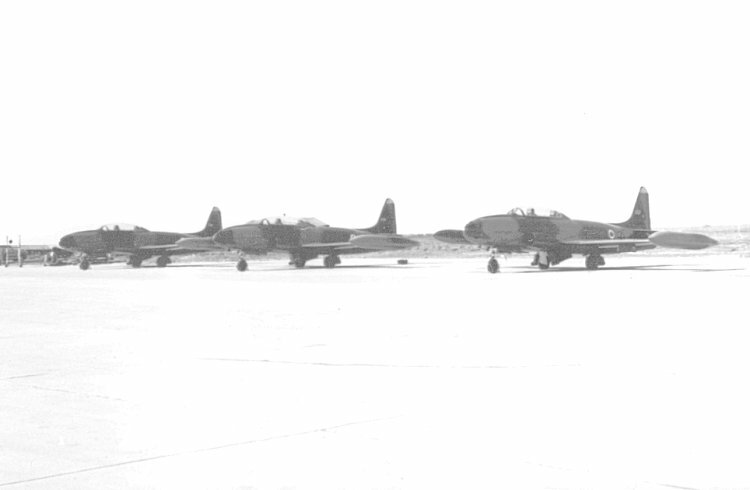 Three T-33 aircraft parked on the ramp at 1 Wing - June 1956. 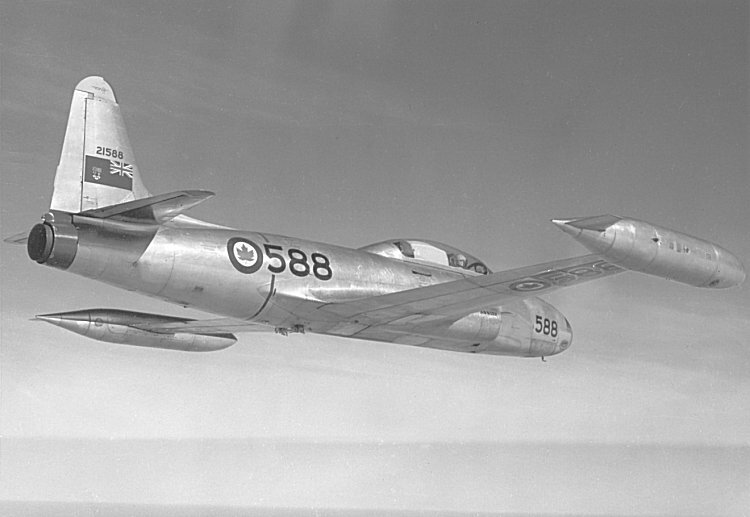 An aerial photo of a T-33 from Wing Instrument Flight - September 1955.